Submissions for the monthly issue will close on July 5th. We are going to be temporarily discontinuing the monthly issue releases after August's issue. We are behind in submissions and edits and are wanting to take some time to catch up. Also, Madeline's health is still a bit shaky and she needs some time to regroup. We haven't found a replacement reader for our general submissions, so she has gotten behind and our response times have really increased because of it. It is really important to us that we continue to produce quality publications and provide a good experience for all our readers and authors and we think taking this time will help with that. We want to stress that this does NOT mean we are closing. This only applies to the monthly magazine, not anthologies or anything else. We will still continue with regular anthologies as well as the fairy tale collection. We will also continue to accept submissions for novels, novellas, and short story collections. We will still post estimated schedules for releases, but with the elimination of the monthly issue, it takes some of the pressure off of Madeline to make sure she gets a certain release out in a certain month, every month. All submissions we have already received for the monthly issues, and all those we receive up to July 5th, will still be considered. In August, which will mark our second anniversary, we will release an issue with more stories than a normal issue. Once again, we plan for this to be temporary and will resume the monthly issues once we are caught up with everything and Madeline is feeling a bit better. Right now, we do not have an estimate of how long this will be for. We thank you all for your support over the last two years and hope for your continued support and understanding through this change. We will consider any genre (except erotica and non-fiction). We are looking for drabbles, flash fiction, and short stories. No Poetry: Stories only, please no poetry. Response Time: Please allow up to three weeks. After that, if you don't hear from us then feel free to give us a little nudge. Multiple & Simultaneous Submissions: We understand how eager authors are to get a story placed and that response times are insane, therefore we are OK with both multiple and simultaneous submissions. Please note however, if you send multiple submissions and more than one is chosen for publication, we will publish them in separate issues. SEND A SEPARATE EMAIL FOR EACH SUBMISSION. MULTIPLE SUBMISSIONS SENT IN ONE EMAIL MAY BE DISCARDED WITHOUT BEING READ. Reprints: Yes. Payment for reprints is a maximum of $10. If we decide to publish your story, we will post it on our website for that month's issue. Each issue will also be available through POD and on Kindle. At the end of the year, we will make an anthology. All pieces published will be considered for this anthology. We do not ask for any long-term rights. Payment: We pay a half cent per word, with a minimum payment of $2.50 and a maximum payment of $20.00. All payments will be made using Paypal. Update: For the August 2018 issue, compensation will be a print contriubutor's copy. The details will be outlined in the publishing agreement we send upon acceptance. Please read and understand everything before signing. Editing: Yes, your story will be edited if we decide to accept it. After we go through and edit your story, it will then be sent back to you for final approval. 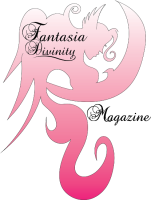 If you are interested in submitting a story, please email us at fantasiadivinity@gmail.com. In the subject line please type SUBMISSION: [Your Story Title Here]. In the body of your email, please include your name, genre, and word count. If the story is under 2,000 words, please paste the text in the body of the email, otherwise you may attach it. We will list all published authors and illustrators on our site. Once you have a story (or artwork) accepted for publication, we will post a little author bio up on our site with a list of all published pieces (published by FDM). If you are an illustrator or artist and would like to have your work considered to be used on the site or for covers of our print publications, then please email us with your portfolio. We will consider any genre (except erotica, poetry and non-fiction). We are now opening submissions for serial stories to appear in our monthly issues. Serial submissions go to the normal submission email. Please type SERIAL SUBMISSION for the subject. Please include in the body of your email: Your name, story title, estimated number of installments, estimated word count of each installment, desired frequency of release (every month, every other month, etc.) genre, and a brief summary of the overall storyline. In an attachment, please include: The first two installments, an outline of the remaining installments. Payment will be on a per case basis depending on number of installments and word count.